FROM pizza to travel and finance to wagering, a mixed bag of consumer-driven services is leading the pack in this year's Brisbane Top Listed Companies. A number of industries are making gains in market capitalisation as the Queensland economy continues to diversify following the resources boom. 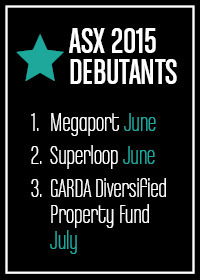 Technology companies are powering up the list, with serial entrepreneur Bevan Slattery building on his streak with NEXTDC (ASX:NXT) to float telco Superloop (ASX:SLC) and interconnection service Megaport (ASX:MP1) on the ASX last year. A new league of tech companies that operate within the retail space are also proving that investing in innovation pays off. 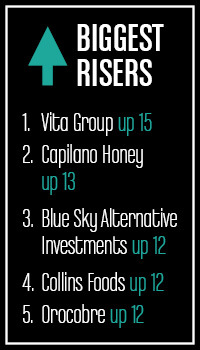 Domino's Pizza Enterprises (ASX:DMP) has climbed three spots to claim fourth place in the list this year, while Vita Group (ASX:VTG) was the biggest mover and shaker, up 15 places to 23rd. Deloitte Queensland managing partner John Greig says the variety of industries demonstrating strong growth indicate an economy in transition. "Queensland and Western Australia have always been seen as resources states," Greig says. "With the challenges we've seen in our side of the country around coal prices and therefore the impact on LNG, the economy has had to diversify. "One of the great advantages that Queensland has over WA is we actually can diversify. 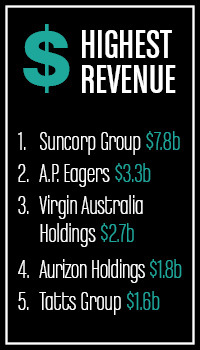 Businesses like Bank of Queensland, Suncorp, Aurizon, Domino's and Tatts are going really well. "With Domino's, Don Meij regards his business as a tech company that sells pizza. It's the same theme of diversification; even though it's a pizza business its technology and investment in innovation is driving growth." The transition is also evident in the consolidation of the resources sector, particularly in Brisbane, with a number of companies bowing out of the list. Energy Developments, which was ranked 13th in last year's list, was acquired by DUET Group in a deal worth almost $2 billion last October. Copper and gold producer PanAust delisted in June following a takeover by Guangdong Rising Asset Management, while Zijin acquired Norton Gold Fields in July. "What we're starting to see in a mergers and acquisitions stance is that these assets are representing value to offshore investors and even local investors," Greig says. "Generically, any industry that starts to lose market capitalisation there comes a point where it represents good buying for those in a position to capitalise on some of those assets. "That's not to say mining, resources and energy aren't important to Queensland anymore. It absolutely is and will continue to be." Greig says New Hope Corporation (ASX:NHC) is an exception, after it acquired a 40 per cent stake in the Bengalla thermal coal mine last year from a subsidiary of Rio Tinto. Tourism continues to be another strong performer in the list, with a lower Australian dollar enticing international visitors to the sunshine state. Brisbane notched one million international visitors for the first time in 2015 boosting expenditure by 28.4 per cent to $2 billion, according to Tourism Australia's International Visitor Survey. The milestone was driven by a spike in the number of visitors from China, New Zealand, the US and India. "Flight Centre or anything tourism-related is a natural strength for Queensland because we have natural assets in our backyard, like the Great Barrier Reef and beaches," Greig says. "Also, a dollar that has been more favourable for all things tourism-related means we'll continue to see growth. "We're starting to see investment in tourism infrastructure that will hopefully support more favourable conditions, like The Star Entertainment Group's Queen's Wharf project and associated investment in new hotels." He says while the dollar is going down it won't be enough to support the city's 'tired' tourism infrastructure, with the new casino and incoming parallel runway at Brisbane Airport showing promise in the industry. Agribusiness and the healthcare sector in Queensland are ones to watch in coming years, driven by the ageing population, demographic transformation and increasing issue of food security. Greencross (ASX:GXL), Australian Agricultural Company (ASX:AAC) and ImpediMed (ASX:IPD) have all advanced in the list this year. 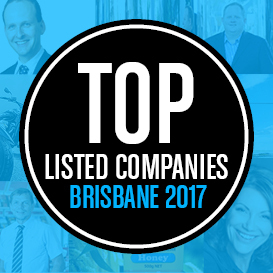 Brisbane's Top Listed Companies generate more than $27 billion a year in revenue and employ more than 145,000 people globally.